Picking up from our last update, the aftershock left survivors with an increased fear of their safety in the already shattered buildings. 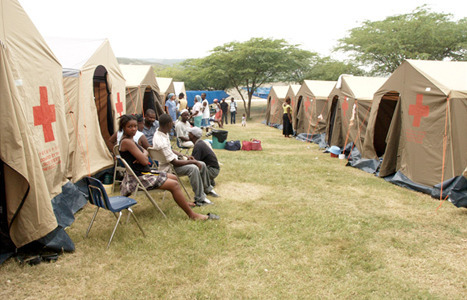 Aftershocks are expected to continue throughout the next few weeks, possibly even months, resulting in mass crowds of people having no choice but to leave Port-au-Prince. Crowds are traveling to open land in search of water, food, and shelter. Tent cities have popped up everywhere. It has been reported that the UN has been helping facilitate medical personnel to aid in the care that is in such high demand. As of the 21st of January, Children of Hope (B-024) orphanage is hosting a large refugee camp consisting of more than 200 people. HELPS International has partnered with Children of Hope to help build a secure temporary housing compound for families, single moms, and their children. Currently, the only source of power are generators. Fuel has become very scarce or completely non-existent. Even if fuel is available, service stations are charging as much as $15 (USD) for a single gallon. Last week, Director of Children of Hope, Pastor Jean, fed 500 refugees the last of the orphanage’s rice supply. Right now, the cost of rice can be as much as $74 (USD) a sack, and is projected to continue to rise in price. 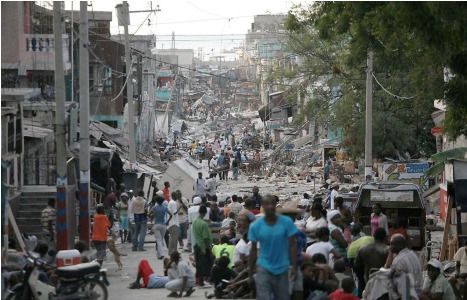 Despite the ongoing and desperate need in Haiti, progress is being made. Updates of hope continue to come in. 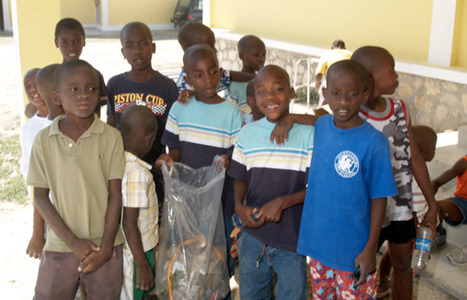 We encourage anyone that has not given to assist in Haiti’s relief efforts to please consider giving whatever you can. Any amount, small or big, makes a difference. 100% of money given to the MannaRelief Haiti Relief Fund goes directly to providing nutritional support to the children in Haiti. Children at ‘Love a Child’ (B-285) help keep the grounds clean.